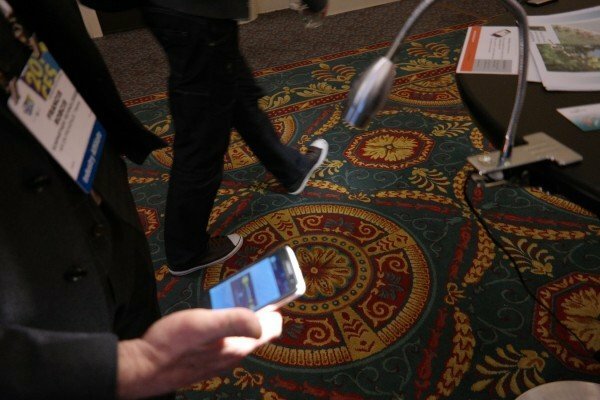 CES, the Consumer Electronics Show, happened, in case anyone wasn’t aware. All kinds of goodies were shown off during the week long convention, showcasing the future of consumer electronics. 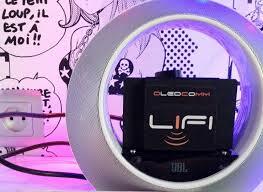 One of the most interesting booths at the convention was Oledcomm’s LiFi showcase. LiFi is the transmission of data through pulsating light sources. Oledcomm showed off how LiFi could be used on everything from a laptop to a smartphone to transmit various forms of data. They’ve even already gone as far as to create a headphone jack light sensor that can give any smartphone LiFi capabilities. It’s an interesting concept with a world of possibilities. Companies could install lights in their stores that connect with your phone as soon as you walk in and offer a wide array of services, from telling you about their latest sales to guiding you through their store. It’s just a concept right now, but a pretty cool one. I can’t wait to see where they’ll take LiFi in the coming years. I think Oledcomm is definitely onto something. It wouldn’t be that hard for smartphones to be equipped with a small light sensor and they’ve already accommodated LiFi for existing tech! Got any applicable ideas for LiFi technology?